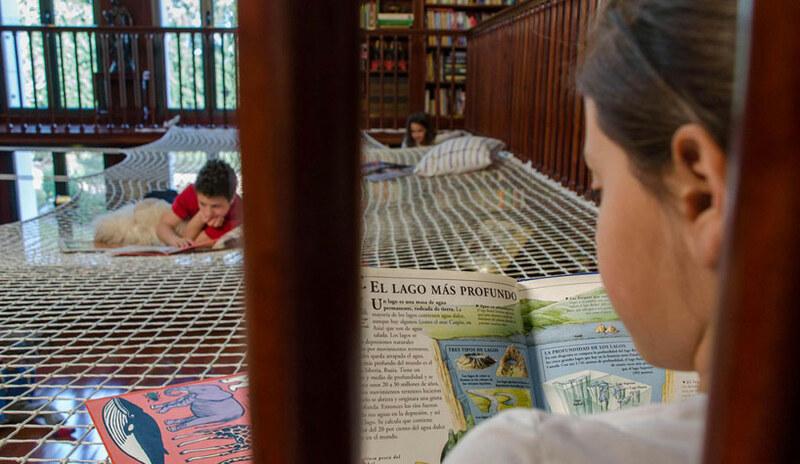 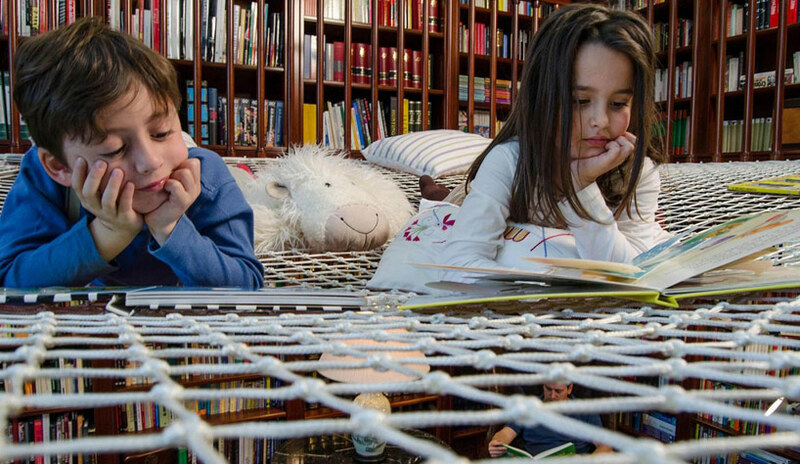 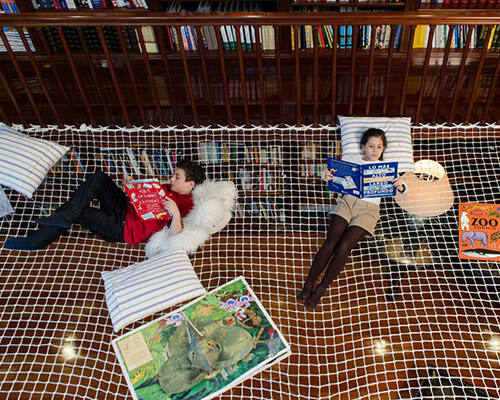 encouraging learning through dynamic spaces, spanish creative studio playoffice has designed the ‘reading net’, a meshed fabric suspended from the architecture of a family library, that acts as a second-level reading range. 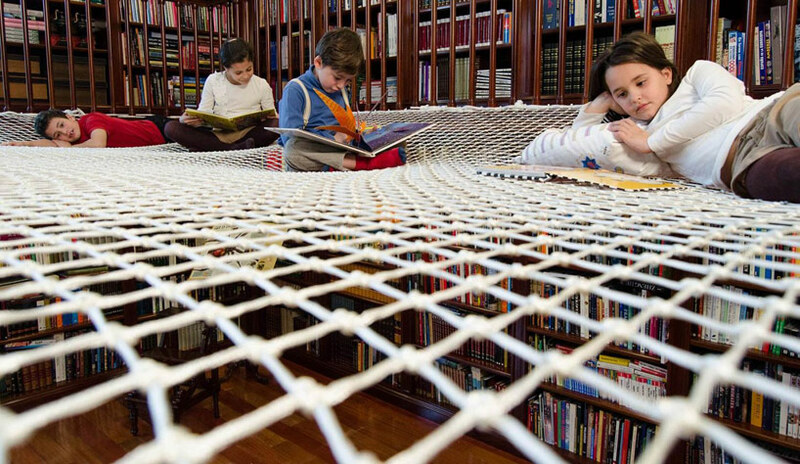 the hanging web is tautly attached to the railings of a lofted path, and — as both children and adults climb onto the woven expanse — they can both lounge and learn on the buoyant surface. 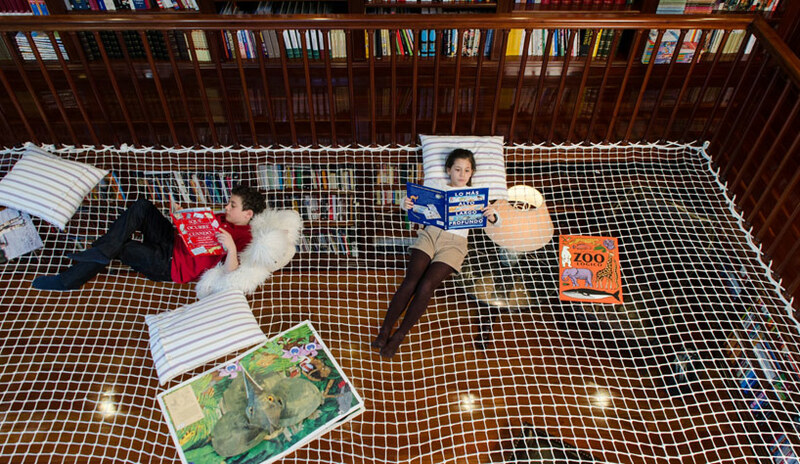 kids can bring books, games, and homework to the knowledge nest, while parents downstairs can watch from below. 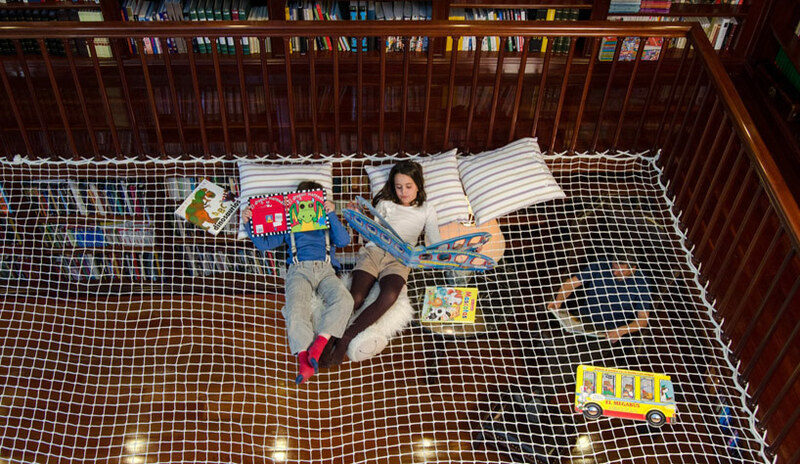 ‘reading net’ transforms a traditional home into an interactive, educational place and develops emotional intelligence through cohabitation. 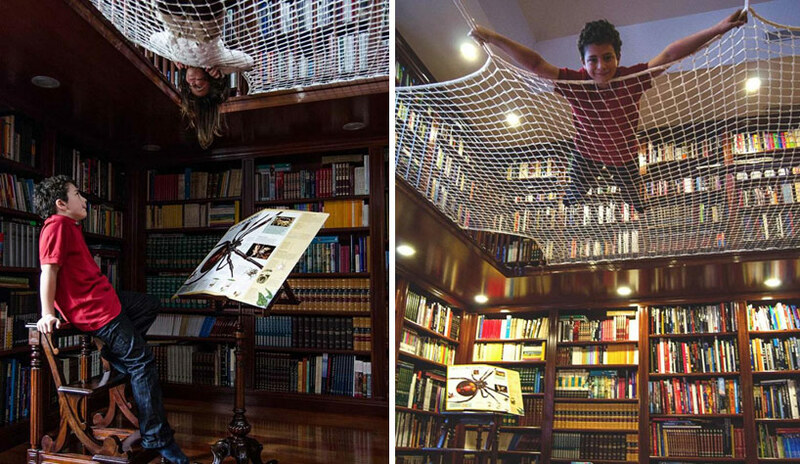 This is a new thought to make a study place. 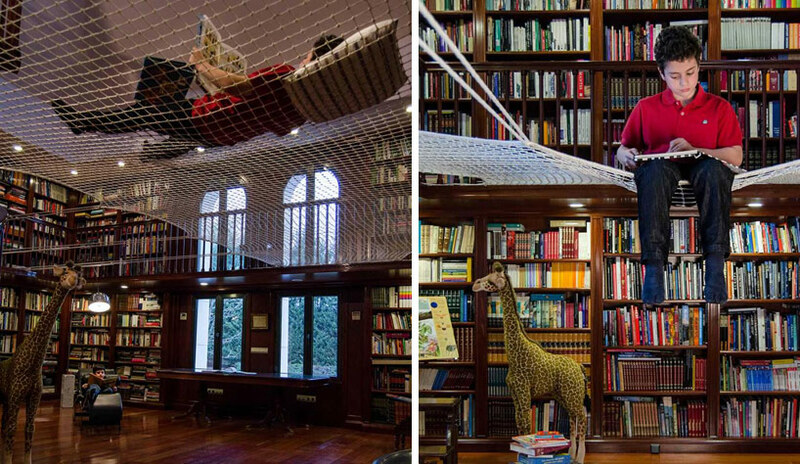 These Nat are making in various designed and looking cool. 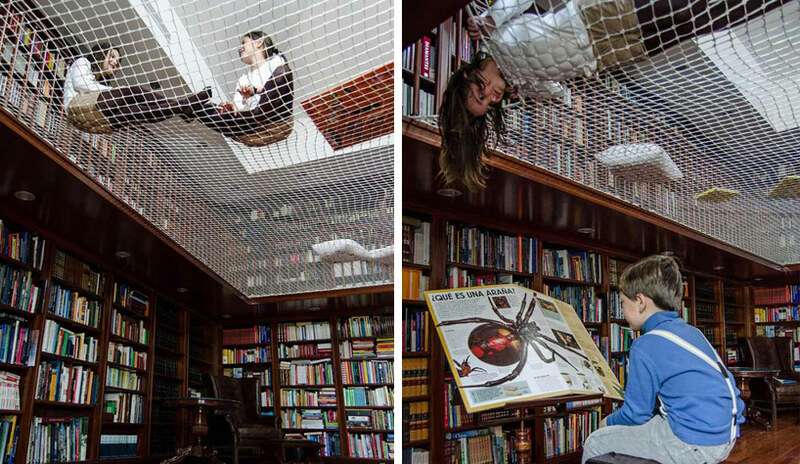 You can place this Nat anywhere.